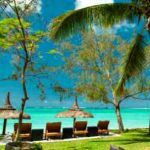 Why is ile aux Aigrettes Mauritius best ecotourism site? 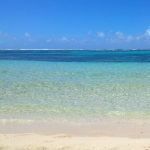 The Eco Tour to Ile aux Aigrettes island is a must. 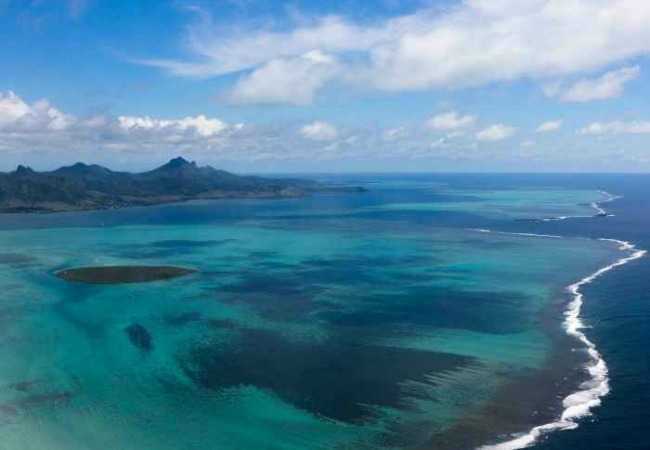 You’ll discover Mauritius before the arrival of man! The islet is a treasure trove of endemic animals and plants saved from the brink of extinction by the Mauritian Wildlife Foundation. Ecotourism at its best in this nature reserve. You’ll be mesmerized. Let’s have a look at some interesting information. In case you are wondering the pronunciation is ‘eelozagret’. During the Second World War the British used the islet as a military base and cleared most of the native plants. Afterwards the small island was leased for breeding ... goats! It was declared a nature reserve in 1965. The eco-tourism site has since been recognized all over the world as a successful nature restoration and conservation project. 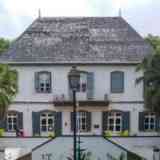 Years of dedicated work by the Mauritian Wildlife Foundation for you to enjoy. A great achievement. Fresh water comes from Mauritius through a pipe on the seabed. There are no beaches on Ile aux Aigrettes. 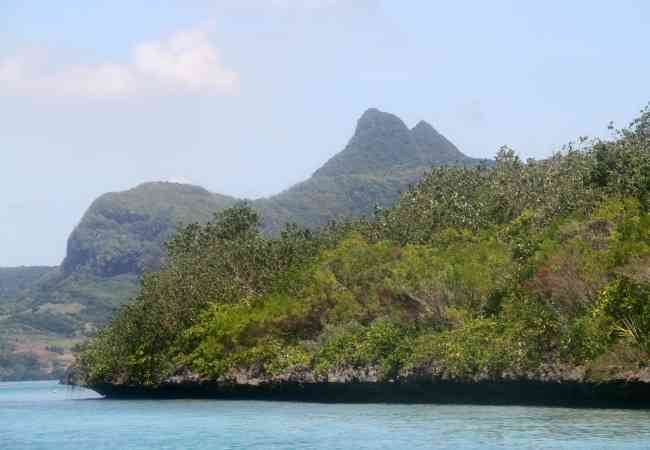 The islet is made of coral which absorbs the heat. Animals and plants unique to Mauritius and the world. The MWF removed alien vegetation, rats, cats and other small predators from the islet. Imagine the daunting task. When the coast was clear (no pun intended) they introduced rare native plants and animals. There are now over 60 species of native plants growing on the island. The animals are tagged and closely monitored. All happily and safely living in the nature reserve. There were only 9 left in 1990! 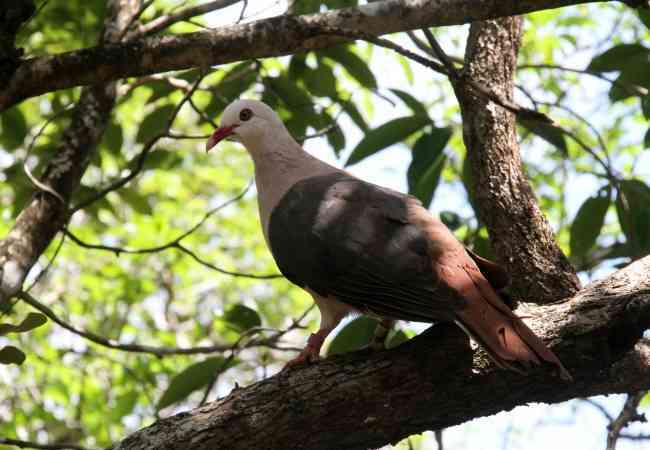 Have a look at the pink pigeon in the image below. I saw this beautiful bird during a trip to the island and took a picture for you. Other unique birds include the small Mauritius Fody. The male’s plumage turns red on its head to attract females during the mating season. You might also spot the tiny Olive White-Eye bird. 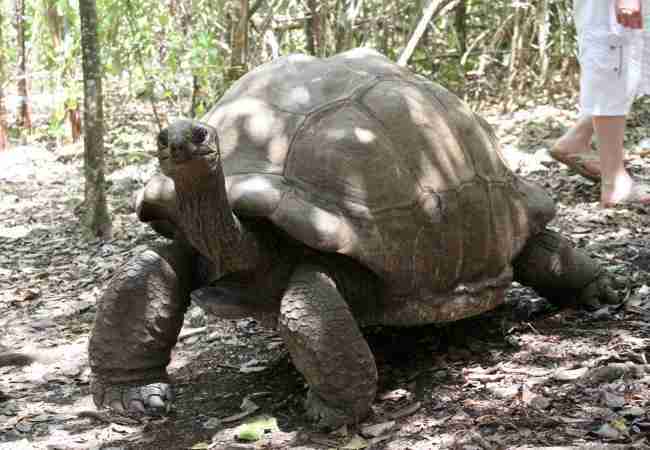 The 20 giant Aldabra Tortoises roaming the nature reserve serve an important purpose. You’ll never guess what it is. Plant propagation! Tortoises eat leaves and fruits. The seeds pass through their gut and plants grow where they are deposited. These tortoises are very choosy in their choice of leaves. They won’t eat the red colour ones with an elongated shape. Just as well because they are from rare endemic plants. These leaves lose their shape and red colour when the plants are mature. 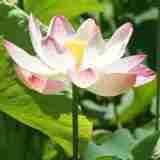 They become a tender green with an oval shape. Too late for the tortoises. By then the plants are taller and the delicious morsels out of their reach. The tortoises are happily breeding on the island. When the baby tortoises are about 3 years old they are transferred to the Gerald Durrell Endemic Wildlife Sanctuary where they will be released in a protected reserve. 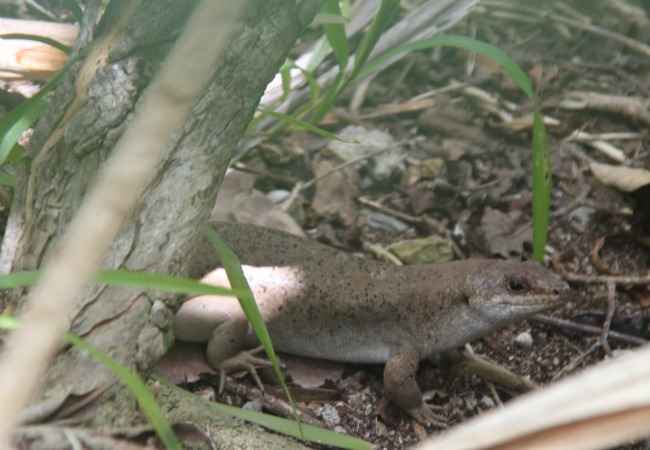 The Telfair skinks have found a safe home on the islet. They are the biggest lizards in Mauritius. There were only a few left on Round Island off the North coast. 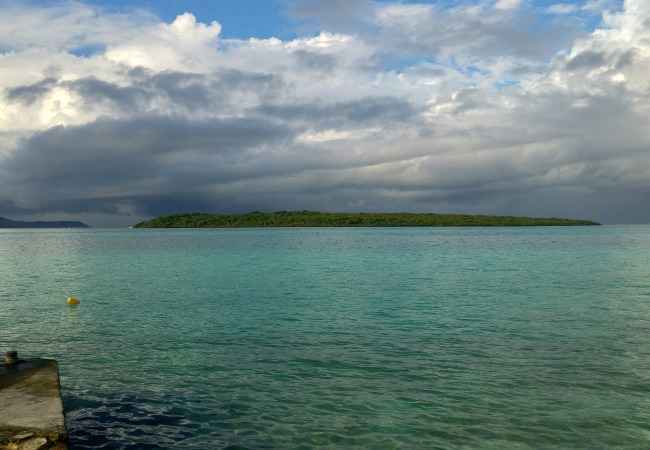 The MWF introduced them to Ile aux Aigrettes once the islet was free of predators. I won’t tell you more … I’ll leave it to your nature guide when you take an Eco Tour of the island. The islet is in the Mahebourg bay in the South East about 800 meters from our shore. A 10 minute drive from the airport. The size? A mere 27 hectares. 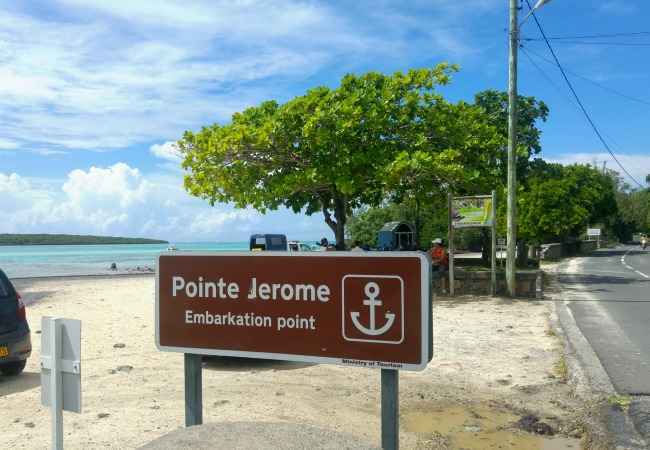 Embarkation is at Pointe Jerome on the coastal road between Mahebourg and Pointe d’Esny. There is ample parking at Pointe Jerome and you won’t need a map. You can see Ile aux Aigrettes on the left in the image below. 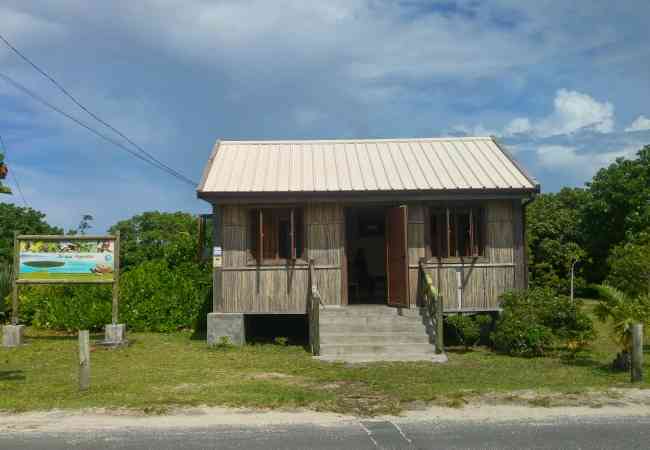 The Mauritian Wildlife foundation visitor’s center is across the road from Pointe Jerome. It’s where you can pay for your Eco Tour and collect your voucher. 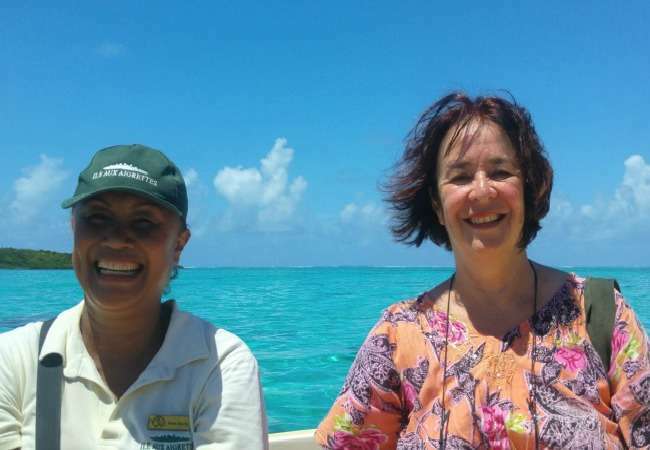 You can only visit the nature reserve on a Mauritian Wildlife Foundation tour. The Eco Tours are conducted by a MWF ranger and last about 2 hours. At the end of the tour you’ll visit the museum with its display of life-size bronzes. Maybe buy a souvenir from their shop. The excursions include the boat trip to the islet and back. 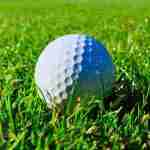 The MWF organizes specialized tours: bird-watching, photography ... 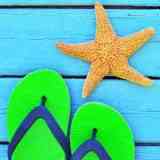 If you are interested they’ll suggest a tailor-made itinerary for these activities and email you the cost. All proceeds go to the MWF which is a non-governmental organization. Every cent counts. The MWF is working tirelessly to conserve our heritage. Help us promote this unique attraction. 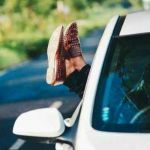 Add the Eco Tour to your list of 'things to do'. 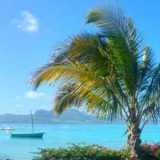 Your visit to Ile aux Aigrettes will be one of the highlights of your Mauritius holiday.